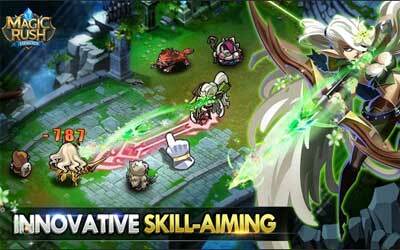 Previous version Magic Rush: Heroes 1.1.124 apk for Android will help you to downgrade or install older app easily. This is one of the best Role Playing apps. When a troop is marching, you can tap on Intel and use an emoticon for your troop to represent your feelings. Other players will be able to see your emoji status on your troop’s airship. Added an email notification when a looted Tree Core is returned. Added power boosts from Tree Cores in Battle Power comparisons.